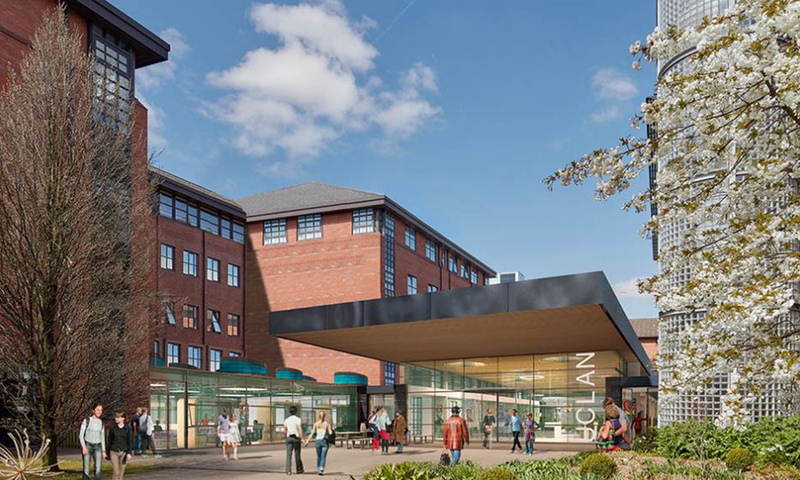 Last year, Thomasons provided civil and structural engineering design services for the University of Central Lancashire’s social spaces development. The project reached completion in January 2018 and has now been selected as a regional finalist for the Civic Trust Awards. One of the few independent built environment award schemes, the Civic Trust Awards aim to encourage the best in architecture and environmental design, to promote sustainability, inclusiveness and accessibility in the built environment and to reward projects that benefit their local communities. Out of 240 national and international entries, 147 have been selected. Part of a £200m masterplan, the project involved the creation of two new buildings on separate sites within the university’s existing main campus. A layout was produced independent of the pre-existing structures, using moment frames and cantilevers to ensure open plan spaces without shear walls or vertical bracing. Campus services were ongoing throughout the build, so it was crucial that these were able to run smoothly without disruption. The 2019 Winners will be notified in mid-December and presented with an Award or Commendation at the 60th Annual Civic Trust Awards Ceremony in March. To find out more about Thomasons’ work in the education sector, click here.